This Best-Ever Monte Cristo Sandwich recipe has a special place in our hearts for Wesley and me. 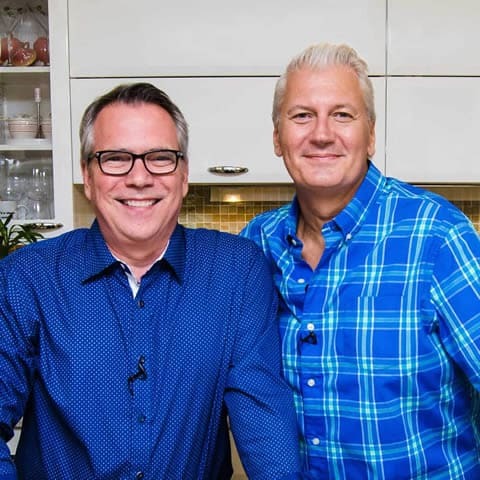 In the early 1990’s, when we were living in the West Village in New York City, we didn’t have much money, but we were living the dream of making it big in the Big Apple. One of our favorite places to eat was a bistro called the Pot Belly Stove Cafe on Christopher Street in the heart of the Village. They had the most incredible monte Cristo sandwich. And Wesley would order it every single time we dined there, which was at least once a week. It was the highlight of our week. This is my re-creation of the amazing sandwich. This sammy is so delicious and really spectacular to serve. 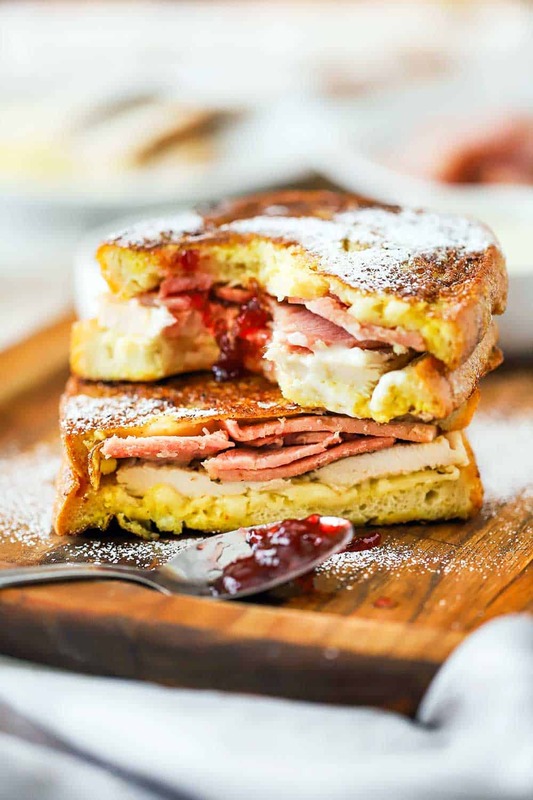 Watch us show you how easy (and fun) it is to make this amazing Monte Cristo Sandwich! 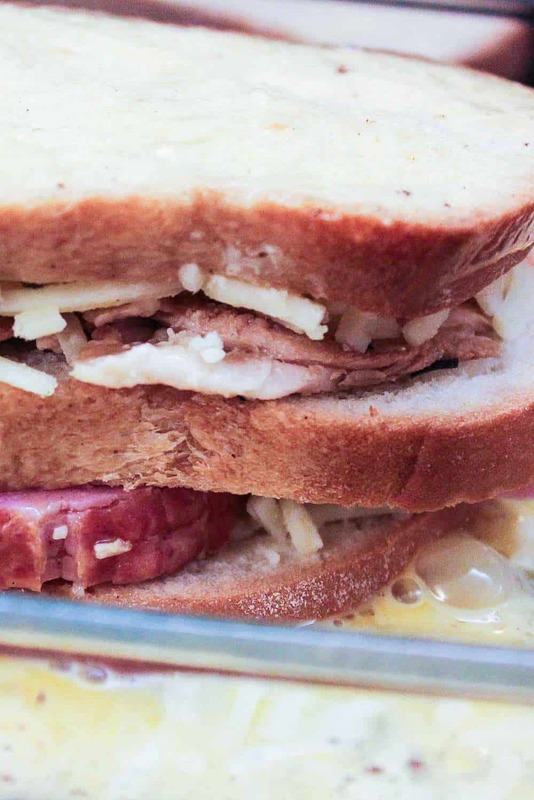 The key proteins in the sandwich are ham and smoked turkey. Seek out quality ham and turkey, and get nice thick slices. They blend perfectly in this incredible sandwich. But we’re just getting started. The sandwich is layered with ham, and cheese, and turkey, and then gently fried in a batter of egg, milk and cinnamon (think French toast). Top notch bread is essential, too. I just love sliced sourdough, but good ole country white works beautifully, too. And honestly, equally as important as the same is the mornay sauce that is used for dipping. The Potbelly Stove Cafe served the most decadent mornay sauce with their monte Cristo, and Wesley flipped with every dip and bite. 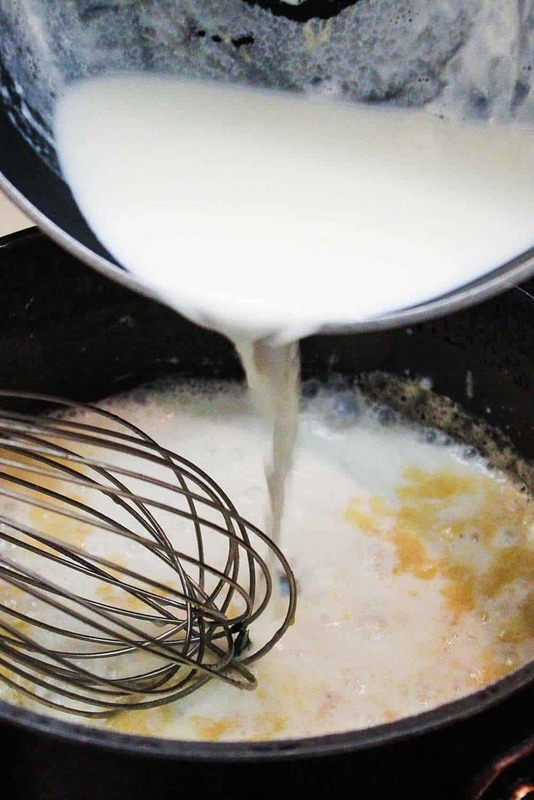 You gotta make the mornay! Hurray for mornay! Finish the sandwich off with a dusting of powdered sugar. And serve with hot mornay sauce and a bowl of you favorite preserves or jam. Brunch will never be the same. And after one bit, you might not be either. It’s that good. This iconic sandwich is such a wonderful memory the Loon and I will always cherish. 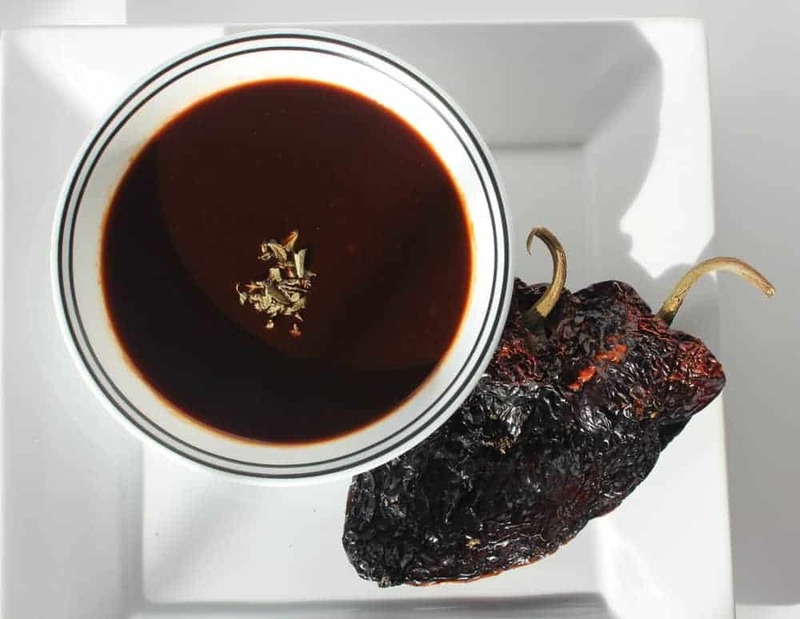 Every time we see it on the menu, or the Loon talks me into making it, we are instantly transported back to such a glorious hope-filled time in our lives. 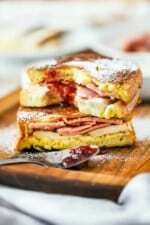 Now, you just gotta drop everything and go make this incredible Best-Ever Monte Cristo sandwich with Mornay. It very well may change your life!! Say Yes to Monte Cristo with Mornay! 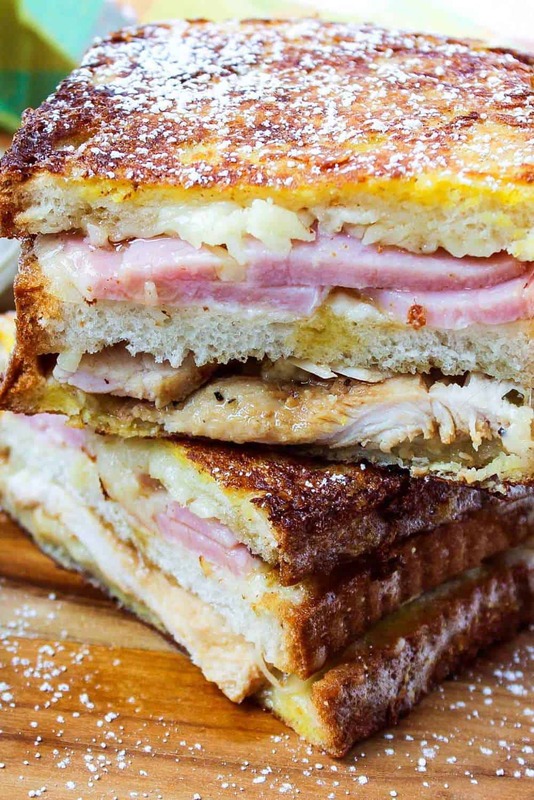 This the best-ever Monte Cristo Sandwich with Mornay. 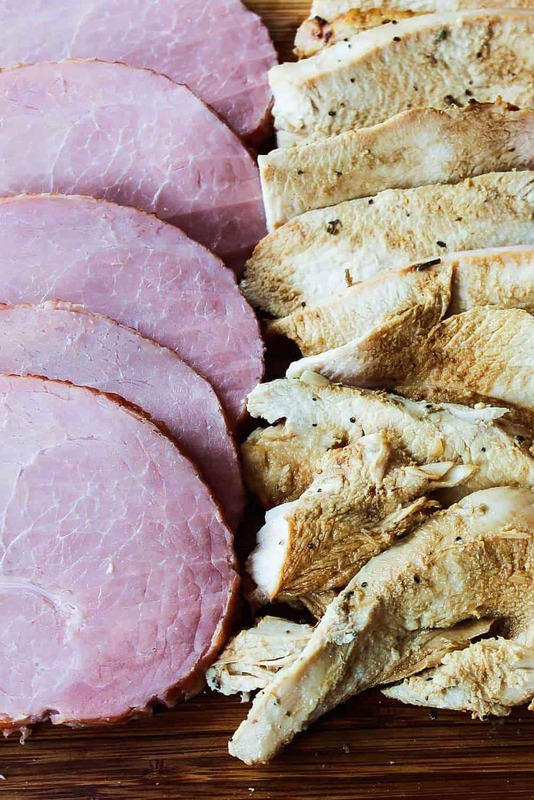 Of course you can you use ham and turkey from your deli, and it will be delish. But make roasted turkey breast with herbs and a nice smoked ham, and then make a quick mornay sauce, along with your favorite preserves...and you won't believe how good this sandwich is! There will be 3 slices of bread, for each sammy. Spread mayo on one side of each slice. On 1 slice, evenly spread the cheese. Place the middle slice on top of this ham slice. On the 3rd slice, add the same amount of cheese and then the roasted turkey. Meanwhile, in another medium-sized dish, add the eggs, milk, cinnamon and vanilla...and mix together. Place the sandwich in the egg mixture...let sit for a couple minutes...and press with your hands. Then, flip the sandwich, and let sit, soak up the egg mixture, and apply a little pressure to compact. Add the butter to melt. Gently add the sandwich...cook on 1 side for about 2 minutes. Cook for another 2 minutes on the other side...or until nicely browned. This is dinner tonight and you have a new fan. Wesley is a wonderful combination of my brother and my wonderful two Savannah friends. It’s almost like being in the kitchen with them.